Expressive Accents makes it easy to organize all your small items. 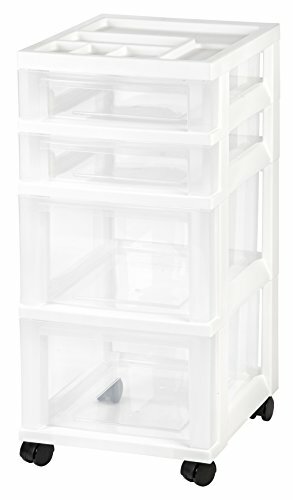 Our clear plastic organizer box make organizing and storing both easy and convenient. 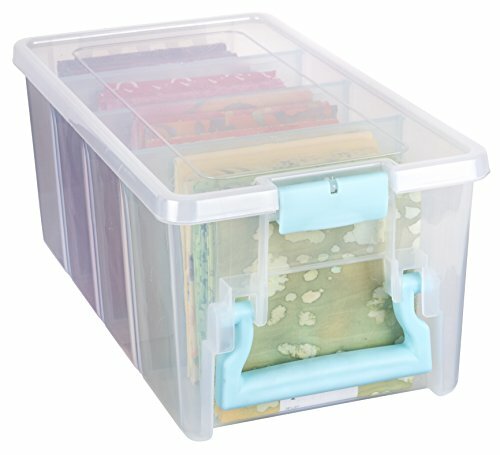 With 36 adjustable compartments, you will find endless uses for your small organizer box. The removable dividers add additional flexibility allowing you to customize each compartment size to fit your specific needs. 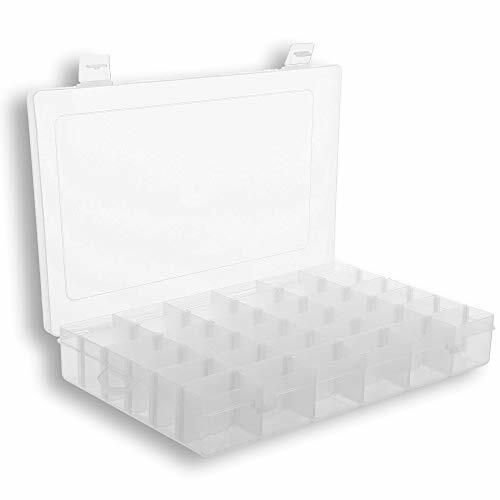 Product Description: 36 Compartments - Large enough to hold all your supplies yet small enough to travel with you. 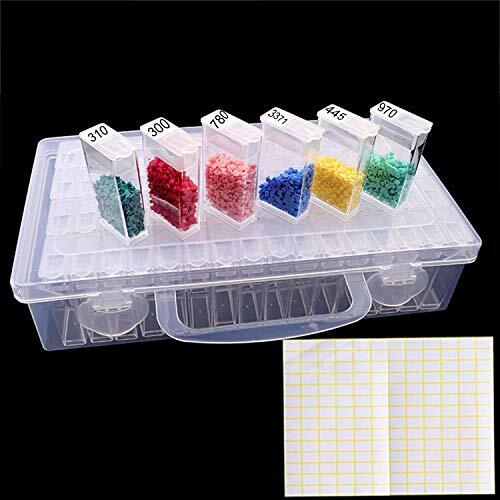 Removable Dividers - 15 adjustable dividers makes organizing your items by size, color, or project easy and convenient. Snap-Tight latches - 2 snap-tight latches are not only easy to open and close but they stay latched keeping your items secure Durable construction - Made from high quality clear hard plastic. Brand: ArtBin | Manufacturer: Flambeau, Inc. 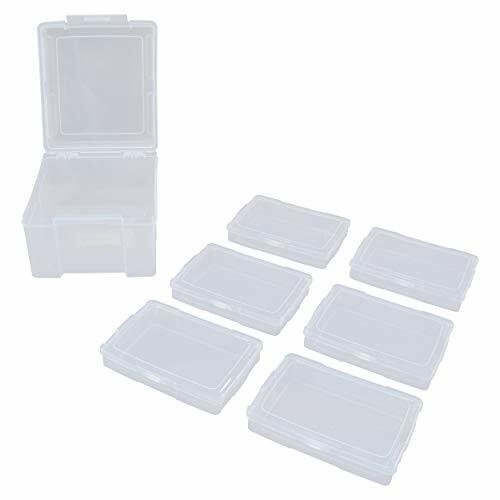 Outer Case Dimensions: 12.0"L x 14.8"W x 5.1"H - Inner Case Dimensions: 4.75"L x 6.70"W x 1.23"H.
Storage Container Boxes can be placed in bookcases, drawers, desktops, make full use of space for storage. Sort and organize your important documents, interesting pictures, children's puzzles or any small craft supplies by occasion. The in-molded handle makes it easy to transport your photos or craft items wherever you go. 1. The perfect solution to Organize & Store Photographs, Craft Supplies, important documents and office supplies. The organizer keeps your house or office clean and tidy. 2. Snap-tight closures keep the contents secure, and protect your pictures or cards. Extra depth allows for storage of larger. 3. Includes 16 of the 4 x 6 photo cases, each case holds 100 photos, holds up to 1600 4 x 6 photos, convenience to use and take with. 4. Exterior Box Dimensions: 12.0 x 14.8 x 5.1 inches. Photo Case Dimensions: 4.75 x 6.70 x 1.23 inches. 5. Made in the USA. Not easy to break, strong load-bearing. Let Bob Ross, host of tv's popular joy of painting show get you started painting beautiful landscapes. 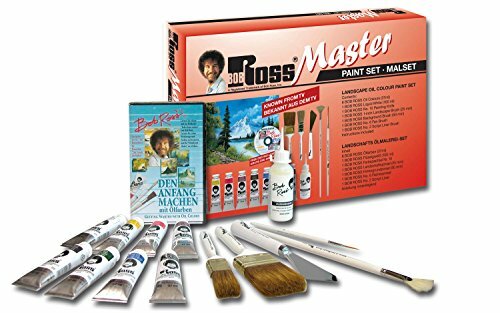 This master set contains eight bob ross oil colors (each 37-milliliter), one tube of bob ross liquid white (118-milliliter), one bob ross number 10 landscape knife, one 1-inch bob ross landscape brush, one 2-inch bob ross background brush, one number 6 bob ross fan brush, one number 2 bob ross script liner brush, one 1-hour DVD, complete full-color instructions to complete the Mountain Summit painting. Requires use of standard DVD player to use DVD. Conforms to ASTM D4236. Made in USA. 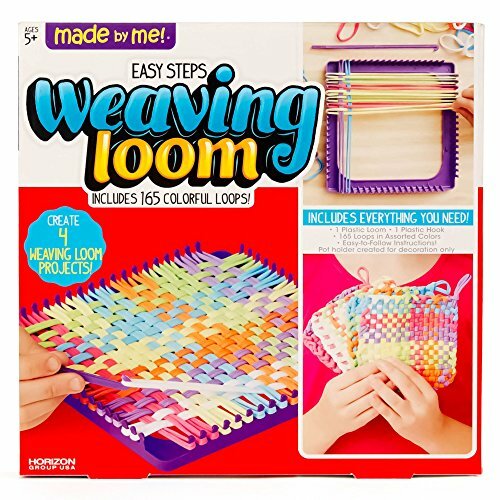 The Made by Me Weaving Loom kit is great for teaching kids how to make weaving loom loops. Easy-to-follow instructions are included, so you and your kids can jump right in and make unique crafts, even as beginners. In addition, this Kids Weaving Loom promotes creativity in your kids and lets them create their own personalized gifts for their friends and family. Make your own pot holder or accessories by weaving, braiding, crocheting and hooking with this loom! Makes a great gift for anyone who is creative and it is perfect as a solo project or as a group activity for birthday parties, sleepovers and any other fun get-togethers. Made by Me is a collection of classic craft and activity kits that promote creativity and personalization among children. Made by Me products provide opportunities for quality family time, while also encouraging independent play and artistic exploration for children. Create 4 weaving loom projects! Weave with ease and continue to create cool and unique crafts as you refill your Made by Me Weaving Loom with the Made by Me craft loops refill kit! 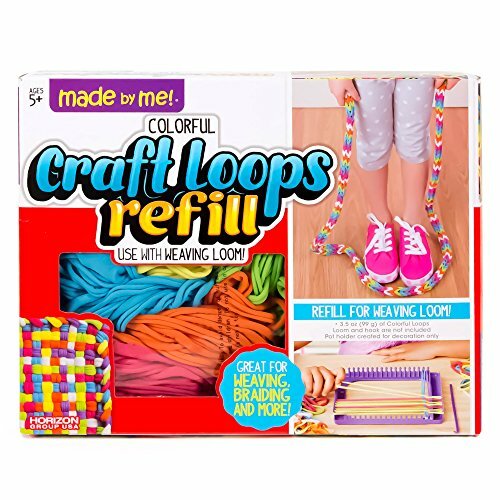 Use the refill loops with the weaving loom and create fun and personalized gifts. Make your own pot holder or accessories by weaving, braiding, crocheting and hooking your loops together. Recommended for ages 5 and up. 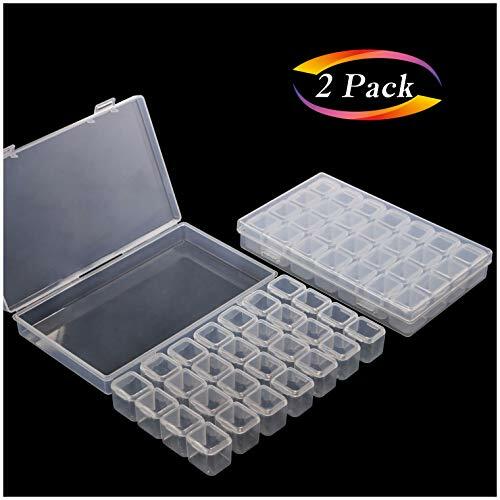 High-Capacity: Keep all your diamonds in one box with 64-piece tiny container 2" x 1 " x 0.47"
Portable-Box: Portable outer box 8.66 x 4.92 x 2, you can bring the necessary supplies to wherever you may be crafting. Multi-Functional Storage Solution: Not just for diamonds, you can store other small crafting supplies and findings in this storage box, too. It has a clear, snap shut lid, making it easy to quickly see all your items at a glance without opening the box. Material: Made of high quality PP plastics, firm and sturdy. Clear boxes, you can see everything inside easily. 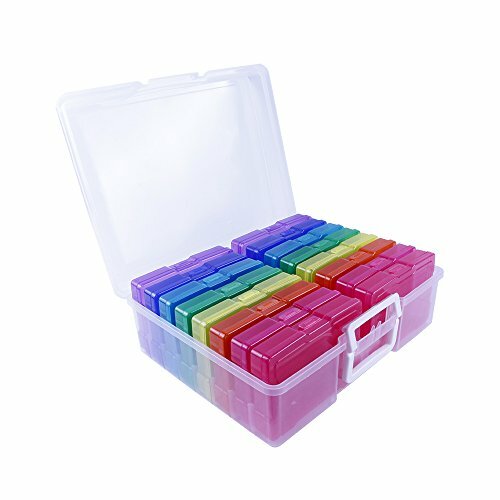 [Box only, Tapes not included] [Box only, Tapes not included] Store all small toys and accessories together in this easy-carry organizer case. 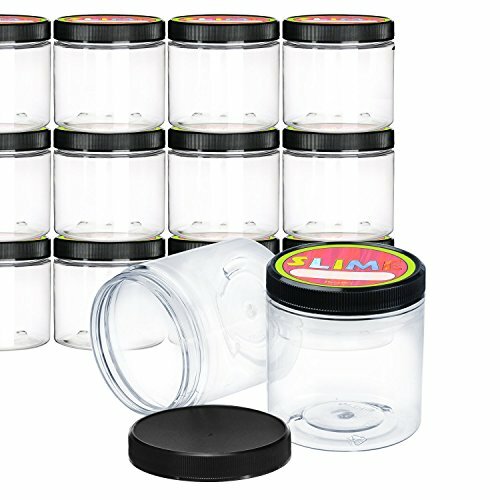 Never lose again, clear plastic which makes locating your items easier. 3 Stackable tiers lock your supplies firmly for safe storage and transportation, It has latches on each sides which holds each level of the containers,three tiers that each lock together with a latch on each end. You can order more same size to Stack up together to save space. This display case features 3 layers, each with 10 individual storage sections for a total of 30 adjustable compartments , each divider wall can be easily removed for custom compartment sizes to fit any size of toys or accessories. This case is lightweight and fitted with an easy-carry handle, allowing your kids to transport their toys go out or holidays travel. The Grid inside the box can be moved. Adjust the dividers to create your own compartments. 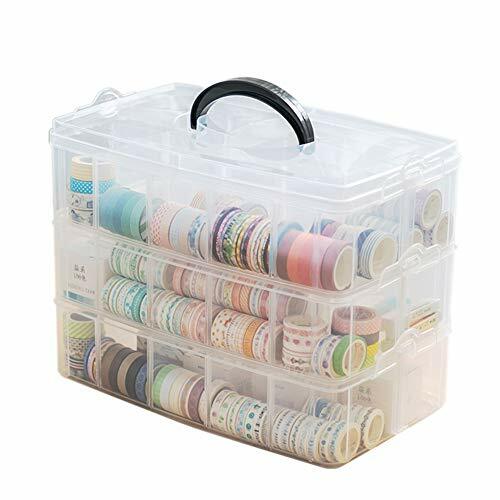 Perfect for storing earrings, rings, beads, washi masking tapes, art supplies, sewing thread, small ribbons, and other mini goods.Also to store samll pills or drugs.